It’s been a busy week. The training for the two new programs is going well and the schools are preparing themselves for the matching of the students with the mentors in early May. I hope to attend an orientation with the students interested in the program before the schools close for their recess in early April. In the meantime, we have had some definite positive responses to our Expressions of Interest Forms sent out to our local schools. A further 3 schools are keen to run the program in 2009 if this is at all possible. Decisions! Decisions! Decisions! Funding required …. and all these matters will be addressed at a meeting with my CEO and one of our volunteer mentors on 28th March. I spent a couple of weeks looking at all the recruitment material I had gathered over the years. 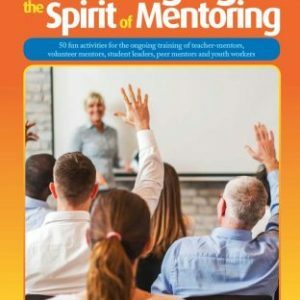 There is some great work out there, none more so than some excellent material produced by the National Mentoring Center (NMC)/OJJDP – highly recommended. The NMC also put together a helpful article about recruiting males. I followed some of their advice and changed the wording of my email distribution letter and could be having some success as I recruit for the second program at the school where we launched the program last year. Early days, though! Meanwhile the mentors and mentees are meeting and many of them are continuing to write Resumes and chat about the mentees’ work experience opportunities. There is a lot of great work being done and so much of it is simply confidence building. But, as always different mentees are in different spaces, so some mentors are still trying to encourage their mentees to start looking at themselves and their future in a more positive light. Tough when the home conditions are not too encouraging. We share different strategies during the debrief times and I remain amazed at how much is being achieved each week. I am also asking mentors for quotes which can be used for marketing purposes and we will be taking photos for use on our website next week. I continue to send out an email word of encouragement to all our mentors and those who are training, as I genuinely want them to feel valued and appreciated. 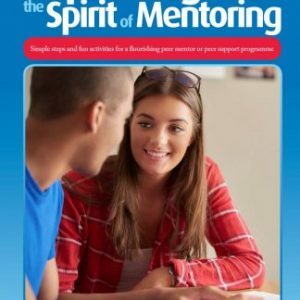 Next week I will be conducting Surveys of the Mentors, finding out how they are feeling about the mentoring relationship, the program etc. and the following week I will do likewise with the students. I am also going to be discussing with the mentors how they think their relationship will move forward during the final months of the program. The mentoring partnership officially ends with our first pilot group in June.